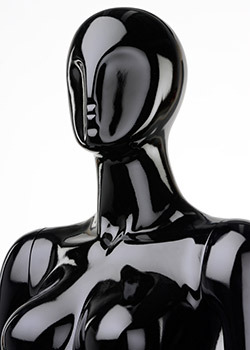 Display mannequins are ideal for creating store displays in storefront windows. Here, the display fixtures are used to present new clothing lines and other types of merchandise. Customers are more likely to take notice of the displayed goods, when they are placed on the display mannequins, and they will be more interested in purchasing these objects. Customers often use clothes displayed on male and female dress forms to see how they look on someone, versus how they look on a hanger. A store or boutique can use the dress forms individually, or create a complete storefront window display by grouping a few of these retail fixtures together. 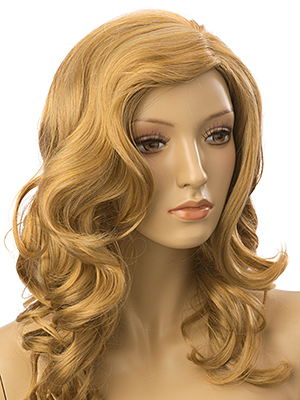 There are many different store mannequin options on the market, sold by several competitors on the web. It's hard to decide which style will work best for use by your particular retail organization. Where can these male and female dress forms be used? Why should I buy one of these male or female dress forms? 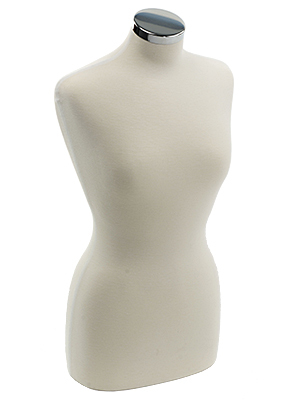 These display mannequins are crafted from polyethylene plastic, a very longstanding material that won't chip or fade. The plastic composition is also much lighter an Eco-friendly than other models crafted from fiberglass. 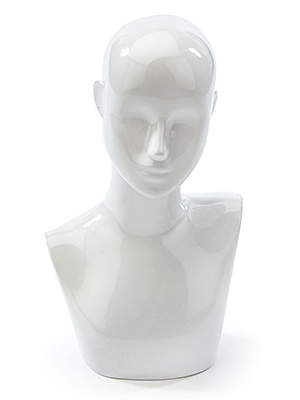 Plastic display mannequins, like the ones seen here, are meant to reduce breakage and lower retailers' costs, as these fixtures won't have to be replaced as often as with other models. 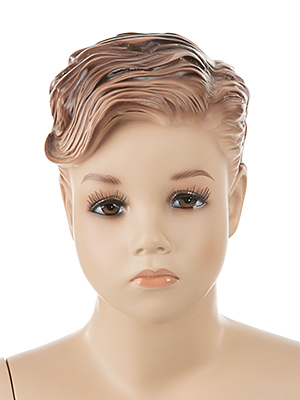 These items option painted facial features and long, life-like eyelashes for a more actual, natural look. Some displays come with a tempered glass base that blends in with the surroundings, giving the dress forms a more lifelike appearance. Many of the painted features also include moveable heads, rotating arms and legs, as well as a pivoting calf rod. 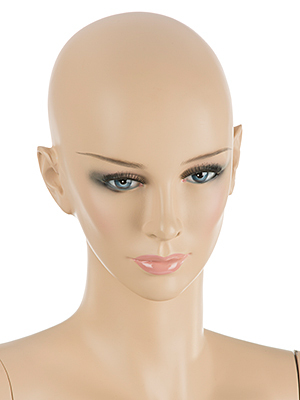 This enables users of these display mannequins to change the position of the forms with ease. Different types are available for different merchandisers and stores. Children mannequins are great for specialty clothing stores. Abstract designs are great for trendier stores and really have a unique look to them. Realistic figures have a more human feel and really look great in any setting. 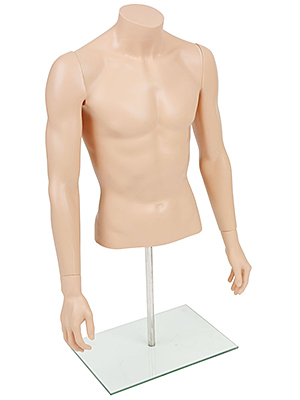 Plastic dummies feature detachable arms, legs, torso and head for users to quickly dress and set them up. The dress forms can be used to display clothing, handbags, shoes and other accessories. Retail stores often figures to display a new clothing line or seasonal merchandise. Each of the fixtures comes equipped with a tempered glass base. The base is built to blend in with the surrounds of the store mannequin, making it look even more realistic. The dress forms also come with a pivoting calf rod to hold the unit in position and prevent it from toppling over. 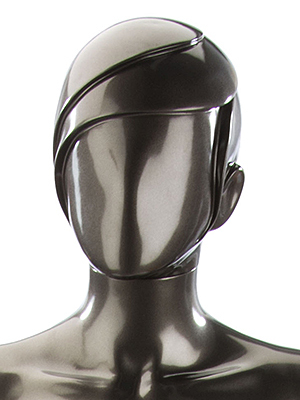 These display mannequins are optimal for use in shopping centers, retail shops and boutiques to boost sales.